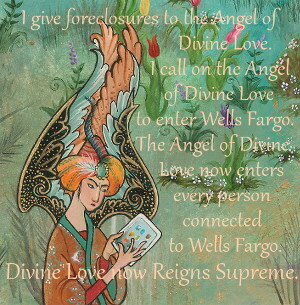 9/29/2018 ~ In the Foreclosure Awareness series, each Angel portrays an aspect of our Collective Conscious. Foreclosure Awareness, Angel of Details, above, represents both the flowers in my garden that I’m fighting for, and the legal details I was confused about, that could have cost me the appeal. 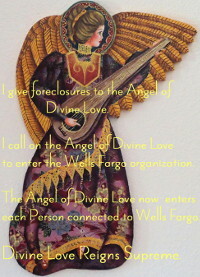 The fact is that fighting a foreclosure most often boils down to two things, fighting for what you love – your family and their home – and getting the legal details right. I’m fighting as hard as I can for my home and garden because I grow a lot of my food, but also because my garden with all its details, the flowers, birds, bees, soil, and veggies is beautiful and I love it. I love my garden the way people love puppies and dogs, or the way that people love cats and kittens. But, what makes the Angel of Details’s image perfect is the tablet in the angel’s hands. 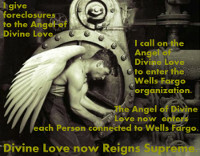 Without access to cases, and the details in cases, I could not effectively fight Wells Fargo. By “details in cases” I mean that the Court of Appeals ruled against me on the basis of seemingly tiny details: the difference between me using “at” and the New Mexico Supreme Court using “as of” in paragraph 20 of Deutsche v. Johnston, 2016. I felt the Court of Appeals was being unjust since the two words have almost identical meanings, and the New Mexico Supreme Court used “at” in other paragraphs talking about the same things. Today, however, when I read Deutsche v. Johnston, 2016, for the umpteenth time, I saw paragraph 26 in such a way that I finally understood what the Court of Appeals was saying. I can now see that the Court of Appeals could read, and in fact did read, what I wrote in my Docketing Statement and in my Informal Memorandum in Opposition as a belief that the plaintiff must conclusively establish its standing in its Complaint. 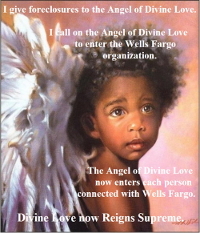 What I meant, and obviously did not write clearly, however, is that the Plaintiff must chose one of the UCC’s three categories for enforcing a negotiable instrument, like a promissory note, and then that category can’t be changed for another theory of standing, like Lost Note. Understanding the legal language in cases can be difficult. Reading other cases that are cited along with the one you want to rely on helps. It’s time consuming, though. I copy the cases onto my computer so that I can highlight the most interesting bits. The problem for me was that paragraph 26 didn’t seem interesting. I kept skimming it, until today. Today was different for some reason. And, once I began highlighting paragraphs 26 and 27 I could see that I need to show the Appeals Court I understand that the Supreme Court and Appeals Court agree that standing does not need to be conclusively proven at filing. I believe that once I make clear that I understand this, and that this is different from choosing one category of the UCC, the Appeals Court will put my appeal on the general calendar. Hopefully. Now, I need to rewrite my Motion for Rehearing in relation to this new understanding. And, I hope I’m right in how I’m reading the case. I think I am, I really hope so. Art Credits : I found the image using Google Search and was not able to find an instance of the image where the artist was named. If you know the artist, please let me know.